UPDATED: Tue., March 27, 2018, 10:27 p.m.
Northern Quest Resort and Casino has announced the lineup for the eighth annual Pepsi Outdoor Summer Concert series, which features something for fans of country, rock and comedy, and those feeling nostalgic. Some artists, like John Fogerty and ZZ Top, haven’t performed in the area since 2012. Others, like Sir Mix-a-Lot and Kane Brown, who both played Spokane last year, never seem to go too long without stopping by. June 18: Little Big Town with Jameson Rodgers. Tickets start at $69. June 28: “I Love the ’90s” featuring Salt-N-Pepa, Vanilla Ice, Sir Mix-a-Lot, ColorMeBadd and YoungMC. Tickets start at $39. July 10: Incubus with Minus The Bear. Tickets start at $49. 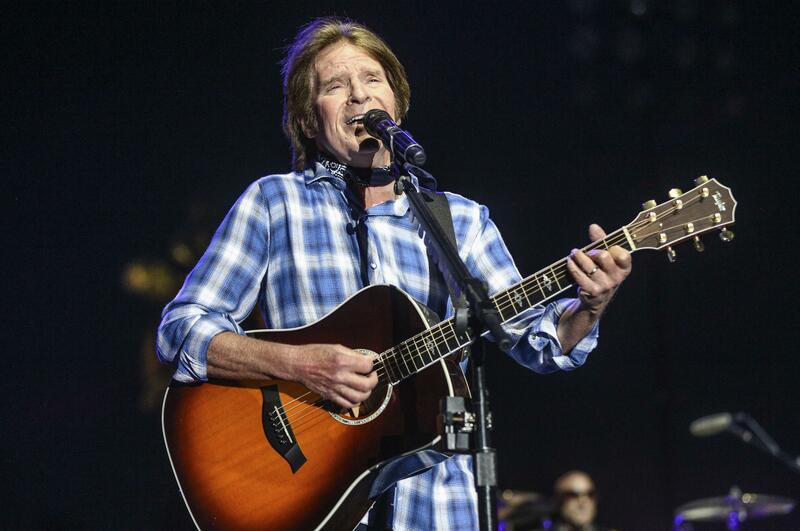 July 17: John Fogerty. Tickets start at $49. July 27: Brad Paisley with Brown & Grey. Tickets start at $69. July 29: ZZ Top with Robert Cray. Tickets start at $49. Aug. 3: Willie Nelson and Alison Krauss. Tickets start at $59. Aug. 9: Gabriel “Fluffy” Iglesias. Tickets start at $39. Aug. 10: Train with Pat McGee. Tickets start at $59. Aug. 15: Alabama with Temecula Road. Tickets start at $49. Aug. 19: Huey Lewis and the News with Richard Marx. Tickets start at $49. Sept. 6: Kane Brown with Granger Smith. Tickets start at $39. Sept. 13: The Australian Pink Floyd Show. Tickets start at $39. Sept. 18: Joan Jett & the Blackhearts and Cheap Trick. Tickets start at $49. Sept. 22: Rascal Flatts with Trent Harmon. Tickets start at $69. This year, Northern Quest has added grandstand seating, which increases the capacity of the outdoor concert venue by 1,000 seats to 5,000 seats. New seating options will include premium box seats and VIP terraces. The concerts are reserved seating, except for the “I Love the ’90s” tour and Brad Paisley, which will have limited general admission tickets on the floor and reserved grandstand seats. Tickets are available through www.northernquest.com or by calling (509) 481-2800 or (877) 871-672. The box office is open from 9 a.m.-1 p.m. seven days a week. Hotel packages are available for all shows and can be purchased online or by calling (877) 871-6772. Guests 16 and younger must be accompanied by an adult. Published: March 27, 2018, 11:45 a.m. Updated: March 27, 2018, 10:27 p.m.